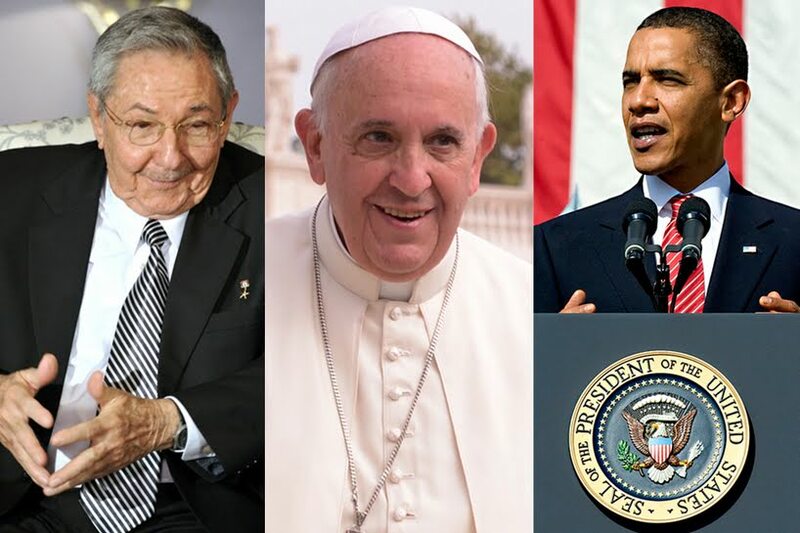 The restoration of diplomatic ties between the United States and Cuba is Pope Francis’ first diplomatic success, and many commentators are enthusiastically emphasizing that the Holy See is now back as a major player in the international arena. In fact, Pope Francis was able to harvest the fruits of the Church’s commitment to Cuba that extended over the past 50 years. But behind any diplomatic successs, there is always a risk that the Church could be exploited. Did this happen over the Cuban issue? The truth is that everyone involved had his own reason for using Pope Francis’ image and popularity in order to move beyond the issue. After mentioning the Pope twice in the speech in which he announced the restoration of diplomatic ties, Barack Obama will now be able to label anyone in Congress who criticizes his plan as being against the Pope. And Raul Castro will be able to manage the transition without suffering too much internal opposition, thanks to the backing of Pope Francis. In the end, a little image exploitation is part of the diplomacy game. The path toward restoration of U.S.-Cuban diplomatic ties began long ago. When U.S. President Barack Obama visited Pope Francis last March, he already talked about it, according to Vatican sources. During those days, public opinion was captured by the delegation of indocumentados that came to Rome to ask Pope Francis to highlight their plight. At the end of the 52-minute meeting between the Pope and Obama, the official press release stressed that at the core of talks were the issues of immigration and human trafficking. Pope Francis offered the Vatican as a bridge for dialogue between the U.S. and Cuba. During these months – for 7 times in 2013 and 2014 – Cuban and U.S. delegations met continuously and discreetly. The Holy See was regularly updated on the progress of the talks that mostly took place in Canada. Pope Francis personally committed himself: in October he secretly received U.S. and Cuban delegations, sent two letters asking for the liberation of political prisoners and offered the Vatican as a neutral site for negotiation. Cuba appreciated this mediation, too. Since taking the post of his brother, Fidel, Raul Castro has worked to move Cuba peacefully from the Communist model – a relic of the Cold War – to a new model, open to the world. The transition had been favored by the extraordinary field work of the Church. It was not just a pastoral commitment, narrowly conceived. The Church’s priests and sisters made a great contribution to the educational and healthcare systems, and their work has been universally appreciated. Despite the revoluciòn, the religious persecution and the confiscation of goods that have never been compensated, the Church never abondoned Cuba, not even in a diplomatic sense (the nunciature in Habana has remained continuously open), nor in terms of its field work. This climate of renewed openness was the background of Benedict XVI’s visit to Cuba in 2012. During the papal visit, Raul Castro took every opportunity to be close to the Pope in order to show that the revoluciòn wanted to be close to the Church. And people, faithful and devout to Catholic Church, caught the message. Despite their exhaustion on account of the embargo, they trusted that things would changed. In 2012, Raul Castro welcomed the Pope with what looked like a rally: in his address he criticized the bloqueo, the U.S. trade embargo, in an effort to gain the Catholic Church’s diplomatic backing. Nor should the fact that Cardinal Bertone was in Cuba again during the past weeks be underestimated. The former Secretary of State had an intense schedule in Cuba, thus symbolically representing the continual presence of the Church in Cuba and the ongoing Cuban transition. In the end, Cardinal Bertone embodied the continuity of the Holy See’s diplomacy there. This is food for thought. 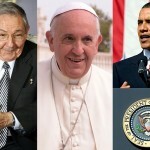 The Holy See’s success on the Cuban issue is the climax of a 50 year-long diplomatic commitment. Pope Francis harvested the fruits of the diplomatic efforts carried on from the time of St. John XXIII. St. John Paul II took advantage of the new situation caused by the collapse of European Communist regimes in order to try a brand new diplomatic approach. This new approach was partially based on an active and secret diplomacy, and very much based on a new idea: that diplomacy should not be conducted with States, but with peoples. Hence, he appealed for reconciliation among all Cubans, even those in exile. At the same time, his speeches during his historic 1998 visit to Cuba focused on the topics of family, youth and religious freedom. Benedict XVI inherited this diplomatic approach, to which he added one principle: diplomacy had to be based on Truth. When he appointed Cardinal Bertone as Secretary of State and Bertone presented himself as “Secretary of Church, more than of State,” some commentators wrote that Benedict XVI’s line could be summed up with the slogan: “More Gospel, less diplomacy.” This conclusion was somewhat misleading. Benedict XVI’s approach was an outcome of the Truth of the Gospel, the two issues were not in contradiction. In diplomatic terms, this meant that dialogue with the secular world had to be carried out with firmness regarding principles. This issue is peculiarly current. While praising the Cuban success, some commentators have attributed it to the fact that the Church is once again focused on playing a strong diplomatic role, and that it has abandoned the diplomatic approach based on a clear insistence on principles. Commentators also recalled the step-by-step diplomatic doctrine that Cardinal Agostino Casaroli followed in his dealings with the countries of Eastern Europe during the Cold War (the so-called Ostpolitik) and the notion of a “martyrdom of patience,” i.e., a silent Church that waits while it works on diplomatic relations. This approach meets secular diplomatic criteria that understand the Holy See as a State like any other State, one that puts itself forward as a mediator, when the situation is favourable, in an effort to make friends of States formerly seen as enemies (the Vatican did not do so during the Venezuelan internal crisis, despite the fact that the current Secretary of State, Cardinal Pietro Parolin, was papal nuncio there at the time). The “martyrdom of patience”, on the other hand, refers to a diplomacy that is founded on Truth and unafraid to proclaim it. It is when the Truth is strongly proclaimed that critics and accusations arise. St. John Paul II endured this martyrdom, and was subjected to fierce criticism during the first part of his pontificate. And Benedict XVI endured it, too, since he was continually under attack because of his love for the Truth: the Regensburg lecture; his declarations on HIV/AIDS at the press conference during the flight to Africa; his stands against the persecutions of Christians and terrorist attacks with a religious background; his strong criticism of gender ideology. In these and many other cases, the actual words and reasoning of the Pope were hardly sought out by the media. Instead, Benedict was attacked for what was termed his “crusader’s tone” – still the favourite accusation of the liberal world when labelling any priest, bishop, or pope who highlights the truth of the Gospel. So, kudos to papal diplomacy for being able to mediate in the Cuban – U.S. situation. But we should also ponder other issues on the table. We should wonder whether the Church was used by certain States. At the same time we should continue to insist that it was the Church’s longstanding commitment to diplomacy in Cuba that produced the basis for this final, positive outcome. It should also be clear that this previous commitment was not derived from a secular understanding of diplomacy, but on the Christian concept of diplomacy as aimed at serving the interests of people, not States. The Holy See’s international agenda is the pursuit of the common good, not diplomatic success. In the end, the Holy See, as a sovereign State, has moved beyond the concept of bilateral relations between States, and has sought to encourage a greater participation of countries of the world in the international arena. The solution of the Cuban question may also lead us to a wider consideration. During Benedict XVI’s pontificate, the strongest criticisms of the Holy See’s diplomacy claimed that it had lost international influence and was closed in on itself. These attacks came at a time when the Holy See was beginning to change its approach to the world and was gradually abandoning its bloated relations with its Italian neighbour (relations that Italy always exploited) and that, following the St. John XXIII’s prophecy written down in the encyclical Pacem in Terris, it was moving beyond the Wesphalian model of relations between States. The countries that worked on the Treaty of Westphalia (1644-1648) drafted the modern system of nation-states, a system which ruled Europe and the world for centuries. St. John XXIII understood that an international system based on nation-states would collapse and would be replaced by an international and interdependent system, mostly based on economic powers, and so he proposed a sort of global authority with global competences to guarantee that even super-national institutions would seek the common good. Benedict XVI’s pontificate fully followed this intuition. The financial reform of the Holy See and the debates that followed, the great reform of the Church’s charitable organizations (that included the new Statutes of Caritas Internationalis and a new motu proprio for Catholic Charities, so that all of them were under the umbrella of a common view and free from any external pressure), the reform of the Vatican penal code, the attention given to canon law and the consequent choice of Cardinals, the progressive internationalization of the College of Cardinals, and then, in its relation to the world, the pressures applied by the Holy See in favor of a reform of the international financial system and a reform of the United Nations; and Pope Benedict XVI’s encyclical Caritas in Veritate that anticipated many of the current Vatican economic reforms – these and many other factors are indicators of the new international approach of the Holy See. The possibility that these changes would enable the Holy See to make a greater moral impact on the world has lead the secular media (driven by secular institutions) to criticize the Vatican’s new international framework. However, with his recent role in the Cuban question, Pope Francis has now returned to an old style diplomatic vision, and the secular world can now breathe freely again. When Pope Francis spotlights the hot issues – as happened when he addressed the European Parliament and the Council of Europe on November 25 –he is simply ignored both by the media and by diplomats. All of these data are food for thought. In regard to Cuba, this old style diplomatic approach has borne fruit for certain States. Will it also bear fruit for the Church? Unfortunately, this is quite an incoherent article. Was it translated from another language into English? Perhaps if it was shorter, the author could get to the point. As it is, I have no idea what he is trying to say…. I found it quite comprehensible and comprehensive and only not doing the impossible, which would be to draw everything into a nice tidy little package and consider it closed. It would take a fortune teller to do that.